There seems to be a trend in certain countries to force priests to tell the world what penitents have told them during the sacrament of confession. The latest country to bring this up is Ireland, of all places. Ireland, the country that was saved from the Druids and Paganism by the very Catholic St. Patrick. This is what the Communists did behind the Iron Curtain! They actually bugged the confessional trying to trap priests who were against the socialist regime! This has actually been done in the US as well, by rogue police departments. So why is this a bad idea? Well, in law, there is this thing called the attorney-client privilege. In other words, what a client tells an attorney is privileged information between the client and the attorney, and can never be divulged. 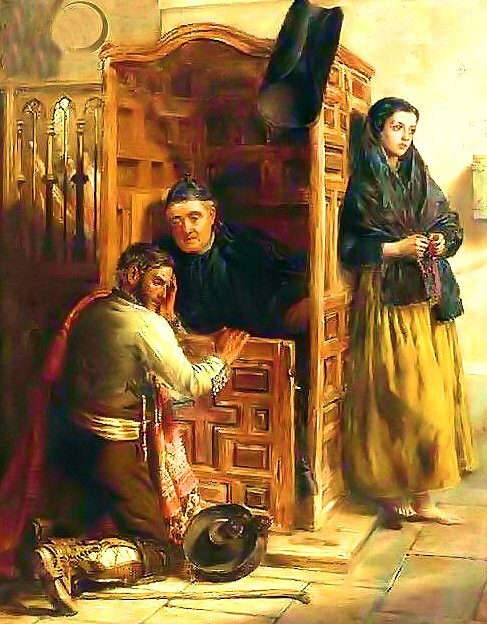 The church has always had the same thing in regards to the seal of the confessional - What is said in strict confidence to the priest in confession remains in strict confidence between priest and penitent forever. It has to be this way if people are going to trust the priest enough to tell him their deepest and darkest sins. And besides, confessions done behind the grille are incognito anyway, so in most cases the priest doesn't even know who the person is who is going to confession. If the penitent confesses a murder or some other crime, the priest can advise him to turn himself in if he wants absolution, which is probably the best thing for all concerned. But for sure, the priest is bound by the sacred seal of the confessional to never tell a soul about what is said by the penitent. And due to the separation of church and state in America and most other countries, IT IS NONE OF THE GOVERNMENT'S BUSINESS what is said in the confessional anyway. The government cannot invoke the separation of church and state when it is banning prayers in public schools, banning crosses and manger scenes in public squares, and telling courtrooms (except for the Supreme Court, of course) that the 10 Commandments are banned, and then say this separation does not exist when it comes to what is said during the sacrament known as confession! NO, Leviathan cannot have it both ways. This separation of Church and State either exists or it doesn't exist! And besides that, the US Supreme Court also said that Americans have an inherent RIGHT TO PRIVACY (when it allowed abortion to become law in Roe v. Wade), and therefore Americans who exercise their religious freedom by going to confession HAVE A CONSTITUTIONAL RIGHT TO PRIVACY in what is said in the very private confessional. 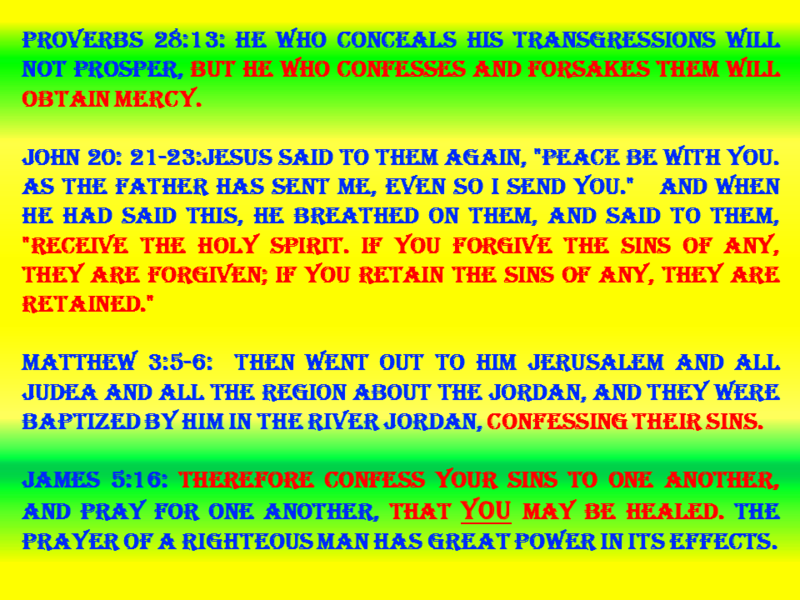 Anything else above and beyond strict confidentiality in the confessional is nothing more than warmed-over communism. May God have mercy on those governments which try this gestapo tactic.